The Not So Blue Skye of Agents of S.H.I.E.L.D. I want to love Agents of S.H.I.E.L.D. Here's why I only like it. I really want to love Marvel’s Agents of S.H.I.E.L.D., like really really. I’m a huge fan of everything Joss Whedon has been in charge of from Buffy the Vampire Slayer to Dr. Horrible’s Sing Along Blog to Cabin the Woods to The Avengers. His work stands above the creations of most other writers, directors, and producers; and though I may have my personal favorites based on specific content and characters, it’s nearly impossible to determine what his best piece of work is because of one fact. Joss Whedon is a top rate writer, director, producer, and Romanticist. Unfortunately, it’s a little easier to determine what his least great piece of work is. I just can’t list Agents of S.H.I.E.L.D. in the pantheon of Whedon’s projects, even if I consider everything positive that is said about its post-Winter-Solider improvement. Don’t misunderstand me. The show’s quality increased greatly with that twist that shook it to its very premise. Storylines were turned upside down and characters (and their actors) were unleashed. The most notable is Brett Dalton’s Grant Ward. He began as the cliché All-American pretty boy, transformed into a sociopathic turncoat, and later shared an intellectually compelling shade of gray with Hannibal Lecter. Likewise, Ming-Na Wen’s Agent Melinda May is the badass female action hero that is being clamored for in comic book movies. Wen’s acting ability also brings a subtly to the character that might be missing if she was played by another actress. Both of these performances are the main reason I continue to tune in. Almost too much awesome for one picture. The writing, in contrast, often almost dares me to tune out. I’m not saying it’s bad. The fact that it’s decent is the reason I still mostly enjoy watching the show. What’s my issue then? The show is largely forgettable. I watch new episodes on the day they air and never think about them, or the future of the show, beyond Googling a few key things that I didn’t understand. I’m not saying that all television needs to be “event viewing.” I don’t believe in that idea. What I do believe is that a good story sticks with you. Lines, sounds, actions, and visuals should stand out and then gnaw at and inhabit your subconscious, inspiring you in your everyday life. Agents of S.H.I.E.L.D. neither stands out nor inspires. There are two main reasons for this lack of narrative weight: the character changes and plot climaxes aren’t “earned” and the mythology relies too heavily on the audience possessing knowledge of comic books. Both of these critiques have to do with the depth of the content of a show—what gives it intellectual intrigue and emotional resonance. The plot climaxes and character turns aren’t earned. 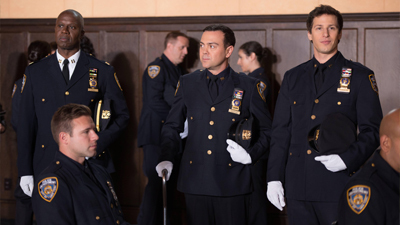 In the pre-credits scene of a recent episode of Brooklyn Nine-Nine, Captain Holt, Detective Perez, and Detective Peralta were awarded medals for a drug bust. As part of the ceremony, Holt was able to relish a victory over a rival officer who just so happened to have to place Holt’s medal around his neck. The scene punctuated with Holt delivering a pre-planned slam declaring his supremacy and then cutting to the opening title sequence. Don’t miss Andre Braugher as Captain Raymond Holt. Just don’t. This joke played well, and the opening scene worked even though it broke the tone of the show, because it had been set up for weeks by more than just expositional mentions. The elements of the scene demonstrably affected the plot and characters. The drug task force was a pivot point for major decisions, conflicts, and resolutions over the run of episodes. That importance to the story, that influence on the characters, is what it means to “earn” an outcome in writing. To earn means “to bring about or cause deservedly” (fifth definition, Dictionary.com). In a good story, the important events and character developments are not causeless. Brooklyn Nine-Nine is generally the News Radio of cop shows—a galley of buffoons attempting to do police work. So, to have the department’s officers succeed in a major way, it must be shown how and why they got there, how and why they and the story deserve such an outcome. Agents of S.H.I.E.L.D. fails to demonstrate deservedness across the board, instead focusing on quick expositional scenes that rush along the plot. The back quarter of Season 1 of the show compellingly saw S.H.I.E.L.D almost completely destroyed and left Agent Phil Coulson in charge of the organization without a plan to rebuild and thus his team without a mission. Season 2 began with little acknowledgement of the lack of either. The action began almost immediately with new agents/mercenaries and a chase for an ancient alien artifact. Why did the heroes want the artifact? Because they used to have it locked up and Hydra, the bad guys, were after it. Much of the season’s overarching plot seemed reactionary in the same way. The pursued artifact became pursued ancient alien markings which became a pursued alien city. Along the way I just wanted to know how any of it was important and why the characters cared. I understand that Hydra wanted the artifact for nefarious purposes and bad guys have to be stopped. I get that Coulson was seemingly sick and drawing the alien markings which turned out to be the blueprints for the city. But everything I’ve just listed is exposition, not demonstration. What’s the overall force driving this organization, this team, and these people? I get that there is a battle between good and evil here, but why are the good guys good and the bad guys bad? You must be defeated because you’re Hydra, and Franklin & Bash don’t like you. The character development is likewise lacking. A large subplot featured the tensions between old partners Fitz and Simmons and the involvement of newcomer Mack. Fitz, embittered toward Simmons especially in her absence, befriends Mack, who becomes his support structure as he learns to live with brain damage. Very little of the learning or supporting was shown. Similarly, in the same episode that Fitz finally accepts that Simmons is gone, she returns. This sudden shift in the story denies Fitz the opportunity excel without her, which would make her return that much more dramatic as the audience would understand its source and significance. Instead, the tension between the two is taken as a given just as the closeness between Fitz and Mack is. Agent Antoine Triplett is another character there was too little of. His ultimate demise is a perfect example of not earning, not deserving, an outcome in a story. If his dying in front of Skye was supposed to carry some sort of emotional weight, there needed to be more in Season 2. 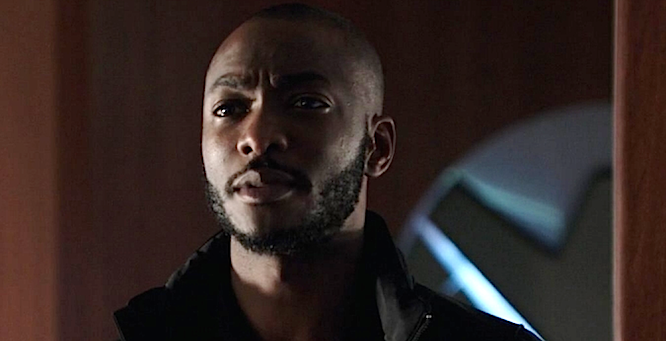 While in Season 1 he developed relationships with the team, in Season 2 his involvement seemed to be little more than a writer’s room checkmark in a manner reminiscent of Ensign Travis Mayweather in Enterprise. Trip was used so little that the only reasonable explanation seemed to be that the writers had nowhere to go with him or they were going to kill him, either of which required obligatory screen for him. Unfortunately, he was shown doing so few things and affecting the characters so little that none of it meant anything, turning him into little more than a plot device. You’re only being brought back for Season 2 on a recurring basis? You know they’re killing you off, right? The ultimate plot-device-disguised-as-a-hero is the show’s Buffy/Echo/River character, Skye. No character had a more dramatic shift in personality and values between Seasons 1 than 2 than her–a change which not-so-coincidentally coincides with the show’s thematic approach. Season 1 was seemingly about balancing freedom vs. security in the post-superhero world. Thus, Skye, an anti-S.H.I.E.L.D. anarchy-inclined hacker, was thrown into the lion’s den and forced to learn the lion’s value. She aided in missions and was trained by Ward, who she seemed to fall for. 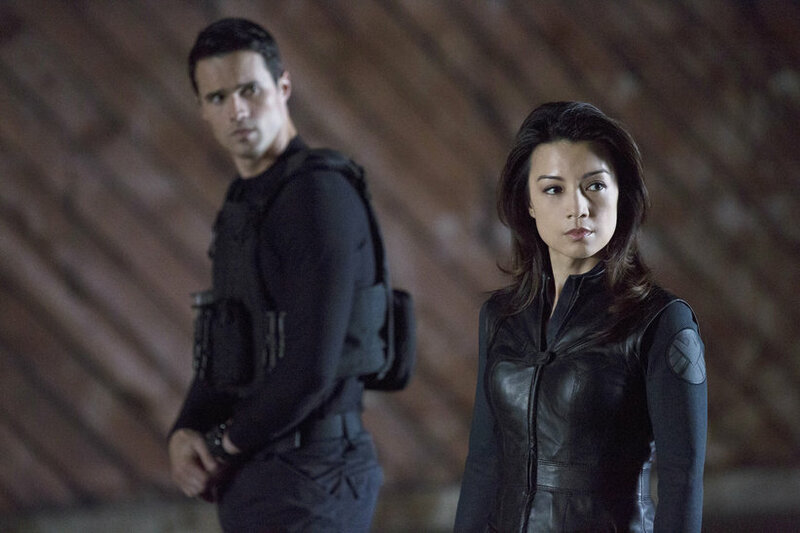 Then the epic twist happened and Ward betrayed Skye (and all of S.H.I.E.L.D.) before she was fully trained or fully integrated into the team. Cut to Season 2 and Skye is fully integrated into the team and fully trained. Granted, the season did begin with a time jump and the latter was achieved through the teaching of the most badass of badasses Agent May, but this sudden development in Skye’s character is a perfect example of a story not earning an outcome by not showing how or why it came about. How did a computer hacker manage to become trained as an elite spy? There’s quite a wide chasm between those two extremes. Why did Skye suddenly become ok with working with S.H.I.E.L.D.? I can certainly posit answers to that question. Maybe she just trusts her team members, specifically her pseudo-parents Coulson and May, so much that it doesn’t matter who they work for (especially considering that Coulson runs the whole damn thing now). Maybe the emergence of Hydra showed her the difference between good powerful organizations and evil powerful organizations. Both of these possible answers are valid, but neither was shown. Neither was any alternative explanation. We’re just supposed to accept the change in Skye’s character and show’s theme and conflict. I’m a badass now because I use guns instead of computers. Yes, characters and conflicts change and develop on a show. Yes, Joss Whedon is a master at these sorts of changes. But those two facts don’t contradict two other facts: 1. The theme must stay the same. 2. The changes in plot and character must be shown. Season 2 of the series has not satisfied either of those criteria. There is no reason given for pursuing the alien symbols, the alien city, and Skye’s origins beyond the fact that the Coulson is uncontrollably writing the symbols and the villains are pursuing the latter two. By making the reasons the heroes are pursuing goals outside of themselves, they become reactionary. Reactionary heroes are uninteresting and pointless. They only exist because something else does. They don’t have independent goals and values. They don’t decide to rise up and act. Here is why, though the writers insist on shrouding him in ambiguity, Ward continues to be the most compelling character. He at least seems to be working toward his own goals outside of the S.H.I.E.L.D/Hydra dichotomy, even if we don’t know what they are. The mythology relies too heavily on the audience possessing knowledge of comic books. I don’t read comic books. Every issue I pick up seems too short. Just as I start to get wrapped up in the conflict, the chapter ends with a giant ellipsis that feels like a middle finger. Maybe I’m too impatient for the medium. The reason I enjoy comic book movies and television shows is I get to experience all the good things about the genre in the medium I love. I also usually don’t have to know anything about comic stories and mythology to care about a movie or show. With Agents of S.H.I.E.L.D., I do–especially in Season 2. While Season 1 featured the comics character Deathlock, the television version stood on his own due to patient pacing and a measured performance by J. August Richards. 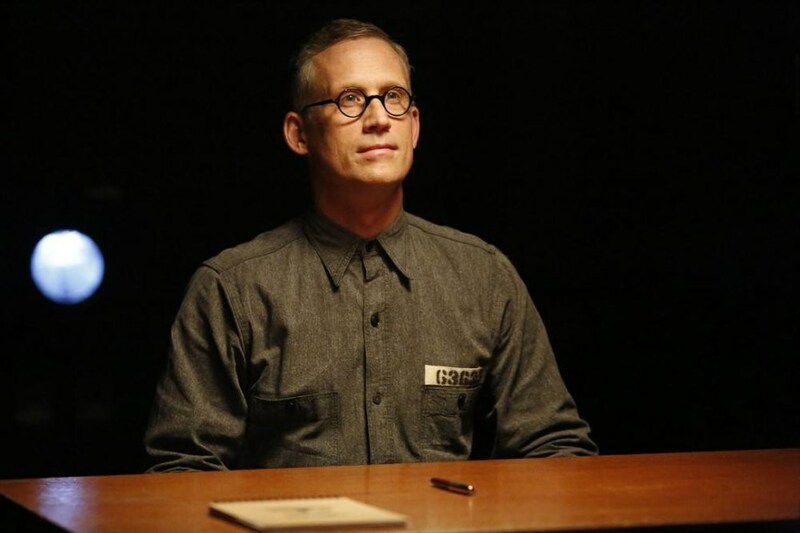 He played Mike Peterson, a man trying to figure out how to control the powers he was given so they didn’t destroy his life. Over the season, he transformed more and more, eventually becoming Deathlok, but still retained his humanity. That story arc was a perfect demonstration of the show’s theme—figuring out the role of humanity in this new super-human world—because it established, on its own terms, what was important to Peterson and how his transformation affected him. It was all on screen for me to see. Season 2 elements such as Mockingbird and The City make me feel as if I’d appreciate the story a lot more if I knew what was in the pages of the comic book. Mockingbird was introduced with little fanfare (unless you read the internet) and suddenly became a major member of the S.H.I.E.L.D. team. She’s also seemingly embroiled in either a love triangle or conspiracy with two other new team members, one who is her ex-husband. I have no issue with that plot thread being dangled to entice me to watch the rest of the season. Anticipation is a good thing. I just have no idea who Mockingbird is (nor do I care at this point). I get that Mockingbird is a badass spy. Her abilities have been sufficiently shown through a few tasks. What hasn’t been shown is her personality—her psychology and belief system. Admittedly, portraying the personality of a character whose main skill is chameleon-like manipulation is difficult, but it’s the responsibility of the writers that decided to include her to overcome that challenge. If they want her to be a hero we root for, or perhaps eventually a villain we root against (I have no idea), we must understand who she is. Right now I’m sort of left appreciating that at least they included another badass woman (because I like badass women). The City the team was chasing also lacked so much definition that it became a MacGuffin. That sort of a plot device isn’t bad in itself, especially if the story is heavily focused on the characters. However, as I’ve already established, this show’s characters are reactionary. They chase The City because The City is supposed to be chased. Why is it supposed to be chased? The answer to that question is where knowledge of comics is required. Read any message board on the series and/or comment thread on an article about it and you’ll see rabid comic fans explaining the significance of the different elements of the show and connecting them to the show’s plot and theme, most notably Skye’s true identity. The explanations are a helpful resource, but a story should never require external resources to be understood. I understand what the writers are trying to do with Skye and how it fits the theme of the show. I think the comic fans who post online have correctly nailed her character’s true identity and the direction of the story. My issue is not with the what. It’s with the the why. I watch for the what. It invites me to imagine what could be. I also watch for the performances. They harden my resolve to be epic. I just wish I knew why the Agents in Agents of S.H.I.E.L.D. are what they are. Maybe then I would care a little bit more and remember why I watch. The material, actors, and characters deserve it.